Often when people travel by car they are so busy trying to reach their destination they never take time to stop and enjoy little towns along the way. 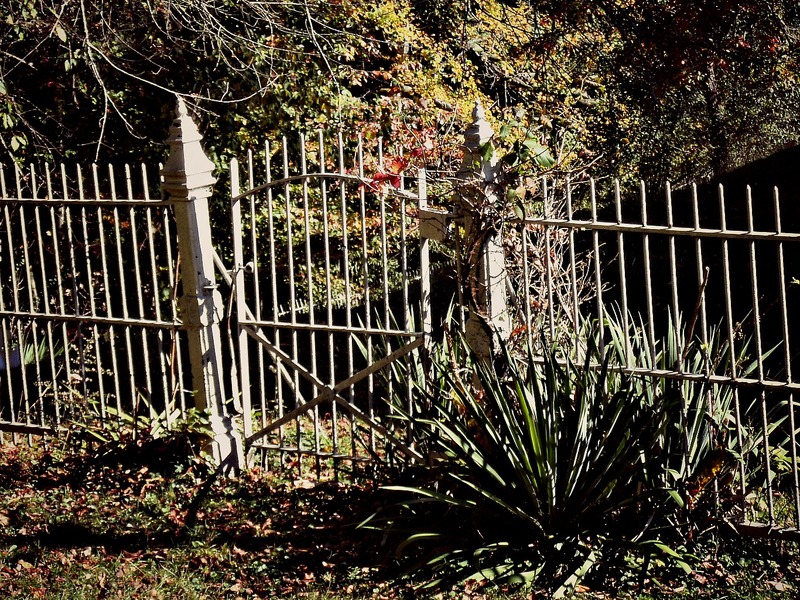 Beverly, West Virginia in Randolph county is a mountain town that time forgot. It is a place to enjoy walking on historic streets, take educational tours and shop and eat in places that remind us of our struggles,our victories as a country and a state. Driving to Beverly a person leaves the more modern world of strip malls and congested traffic and returns us to a quieter time. This town is mostly residential, built around a central plan of main street businesses that are all within walking distance. The historic district surrounds a small green town square that is hub of activities even today. The city has added to the historic downtown over the years, investing in other old structures, moving them from other areas in Randolph County. As a visitor my first stop was at the Beverly Heritage Center to take the tour of the largest and most important buildings in the Historic District. It is hard to miss the Bank on the corner of Main Street ( US Rt 250/219). I feel in love with its white brick and decorative exterior the minute I drove past. Built in 1900 by the local Dr. Humbolt Yokum, it was the town’s only bank for 33 years. It is the first of the four buildings that connect as The Beverly Heritage Center. Main Street Bank Beverly, WV Circa 1900. Rounding the corner off of Main Street on to Court Street, visitors are able to view the other buildings in the collection and enter the parking area at the back of the buildings. The next building on the side street is the most notable of the four buildings. It is the former Randolph County Courthouse. The Courthouse completed in 1815 is one of several buildings used as a County Courthouse. The location of the county seat would move back and forth from Elkins to Beverly several times over 84 years. Finally the city of Elkins won the battle for the county seat in 1899 leaving this building to serve other purposes. Beverly Heritage Center, Beverly WV, Bank, Courthouse, Store and House. The Courthouse connects with the next building in the row, the Hill building. The Hill building was constructed in 1912 for use as a store, pool hall and bar, it has the smallest footprint of the four buildings.The bar inside is said to have even survived the prohibition era with ease.Then connected to the Hill building is the Bushrod Crawford House Circa 1850. The building housed a family until General McClellan needed a headquarters during the civil war in the summer of 1861. The home was an important location to the General because it’s close location to several battlefields, it had electricity and could supported telegraph communications. 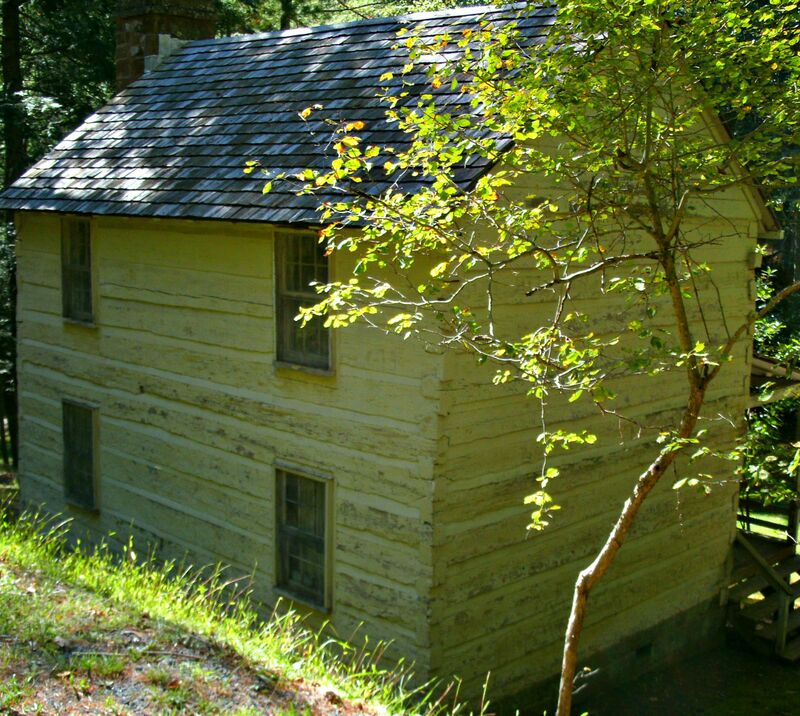 The historic value of this simple looking home is priceless to anyone interested in the history of our country. In back visitors see the main entrance of the Heritage Center. Here you are able to take a tour,enjoy a gift shop and look through a collection of found items from around Randolph County and the Rich Mountain Battlefield. The quality of this restoration project and unique way the four buildings connect into a single unit is flawless. Visitors move seamlessly from a modern addition where offices and tour guides lead you to the historic buildings. Tour Guides explain the history of each room as you pass from one room to the next room through natural looking passages. The tour actually starts in the rear of the Courthouse and passes to the Bank and back to the store/bar then to the house. At the end of your tour you return back into the entry area through a second doorway. Each of the buildings are handicap accessible and the flooring in all the rooms of the center are of traditional hardwoods. Each of the buildings contain a collection of items that would have been found in a building of this style and age. The Courthouse has a courtroom display that made me think of what it must have been like for a judge in such a rural area in the 1800 hundreds. Thoughts of the of crimes and what judges would have to rule about drifted into my mind. Inside the old Randolph County Courthouse, Beverly Heritage Center, Beverly W.V. After leaving the courtroom visitors are lead into the Beverly Bank. The inside restoration is just as wonderful as the masonry work of the exterior. The shiny tin punched ceiling and the arched windows make me almost want to go back into banking. The displays in this room are a collection of found objects that were found on or around the Staunton-Parkersburg Turnpike that passed through Beverly. Many of the items are things that would have been part of wagon or team of horses. There’s also a lovely desk covered in banking papers reminding me of the importance a bank has to a small community. Desk with bank papers under glass, Beverly Heritage Center. When visitors finish enjoying the Bank, they pass back through the courtroom into the Hill building. This building is home to a beautifully restored bar and pool hall area with a storefront window that has two mannequins who appear to be running for some sort of county office. Bar Room in the Hill Building of the Beverly Heritage Center. Mannequins about to shake hands in typical 1800s dress, Beverly Heritage Center, Beverly WV. Finally the tour heads into the Bushrod Crawford House circa 1850 where the Heritage Center has a civil war display area. My favorite portion of the collection is a corner display of a civil war camp site. Making thoughts of long cold nights in the Appalachian woods and the sounds of rifle fire slow my pace through the tour. Visitors also enjoy the story of General McClellan’s use of the house and how important the telegraph was to the battles in this area of West Virginia. Civil war encampment display at the Beverly Heritage Center, Beverly WV. When finished with the Civil War display visitors pass into another area of the house that has a fireplace and furnishings that remind you that at one time this was a home. 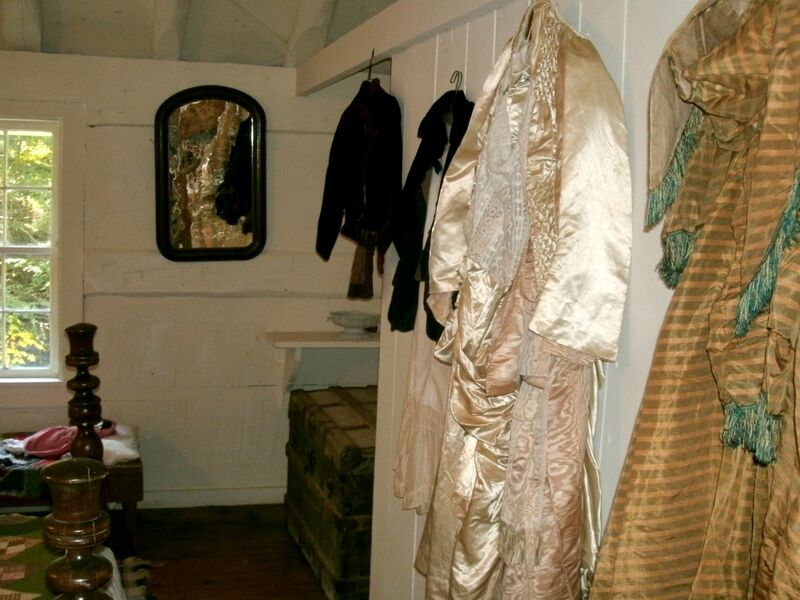 Visitors then can shop for handmade gifts and toys popular in the 1800’s in the last room on the tour. Quests slowly make their way back to the modern entry where the tour of these buildings comes to an end. Fireplace and upright piano in dining area in Crawford house, Beverly Heritage Center. The continued exploration of the historic district should be seriously considered while visiting. The Heritage Center Staff have walking tour booklets and other information to help you continue to enjoy the town of Beverly West Virginia. Below are some more of the wonderful places I photographed that day. This town has so many interesting stories and I have only begun to explore them all. My trip to the Beverly Heritage Center was a morning well spent. I will be back and will be taking more time to learn about this wonderful little town that time has forgotten.It was such a pleasure to spend a day with people enjoy old buildings as much as I do. The wood sided church sits on a hill on a one lane road, miles from the nearest town. 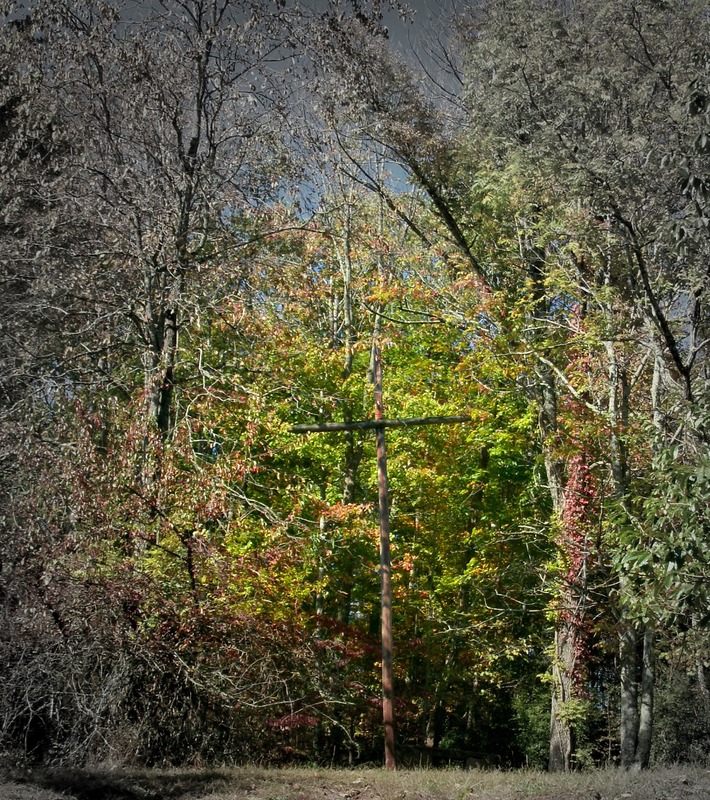 The tree-lined road is quite and family homes speckle the trip up to the 1910 church. 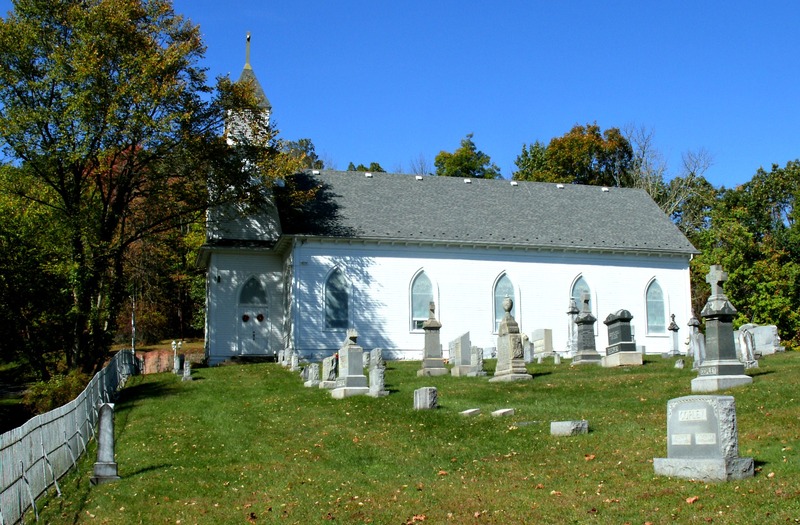 The well cared for church and cemetery were once the center of catholic life in the Lewis County, West Virginia. With many of the parishioners being immigrants from Ireland who brought with them their Catholic faith and traditions. These include the sad tradition of not allowing the bodies of the damned buried inside church cemeteries. 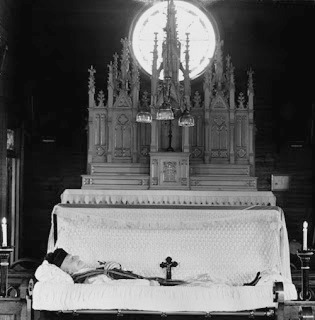 The story of John Kennedy and his unusual burial is the reason so many have thought over the years that this church and cemetery are haunted. 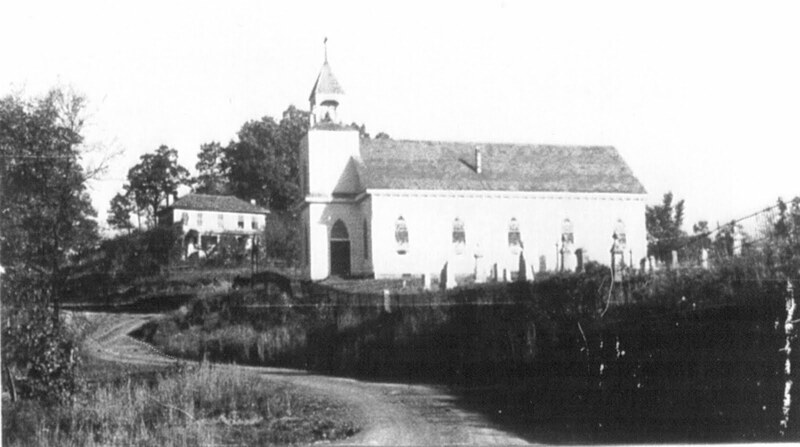 Construction on the single room church finished and services began in 1910. 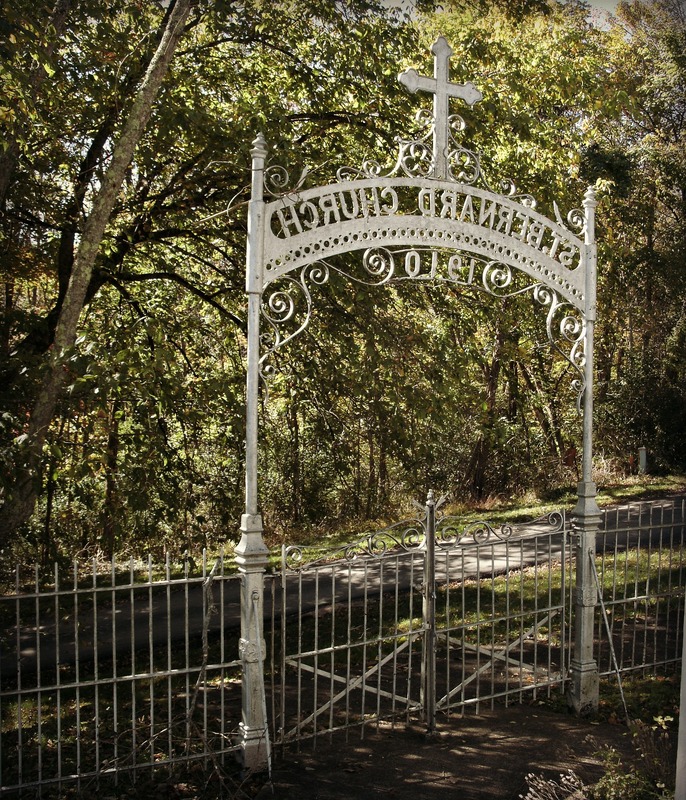 Yet, many of the graves in the cemetery are from the late 1800’s, the graves are remnants of earlier church yards.This structure is actually the third version of the church.The first being recorded back to a log Catholic Church that was active in the 1850’s. All of the churches have looked down over Loveberry Ridge as a beacon on the hill to those looking for a place to worship. 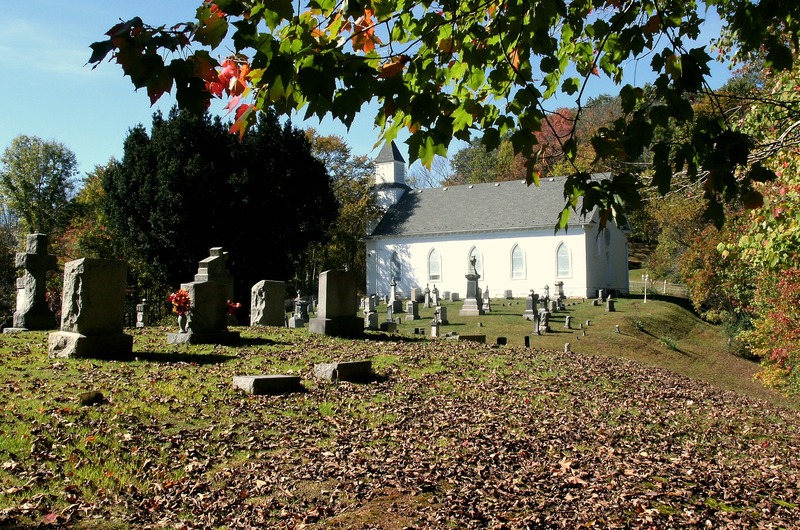 Many churches and cemeteries in the mountain state are on the tops of hills or mountains no matter what the denomination.West Virginia people held the belief that you were “closer to God” when you worshiped/ spent eternity/ on a mountain top. The other more practical reason to have a cemetery on a hill-top is flooding. West Virginia is prone to flash flooding and has a wet climate making bottom land swampy and full of bogs if not well-drained. So in the 1800’s a wise choice was to place the wooden coffins in higher locations where they would not float to the top of the ground during a flood or bob up to the surface if a fresh water spring started under the cemetery. St Bernard and Rectory 1938 sourced from www.orlandostonesoup.blogspot.com. If you look closely at the above photo and the photos below you will see a tombstone that is not in line with the others in the church cemetery. 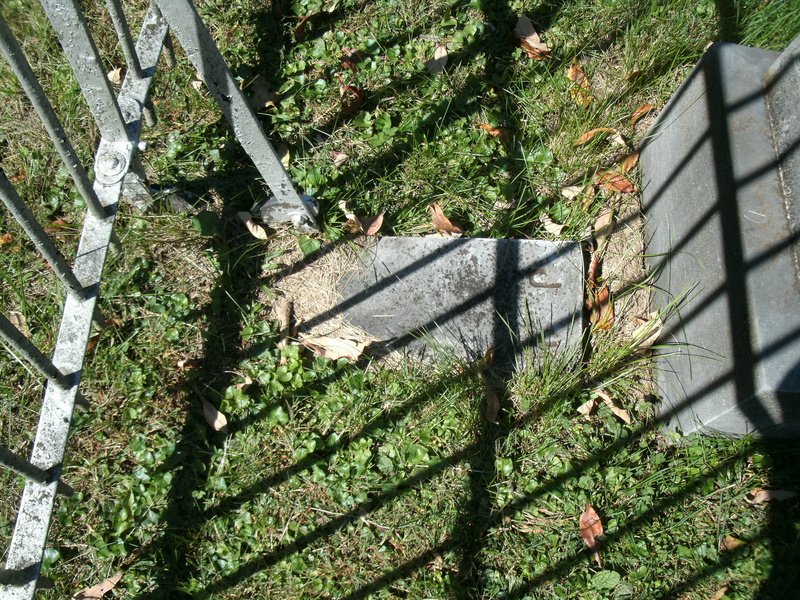 Up against the fence, alone, is the stone marking the grave site of John Kennedy. 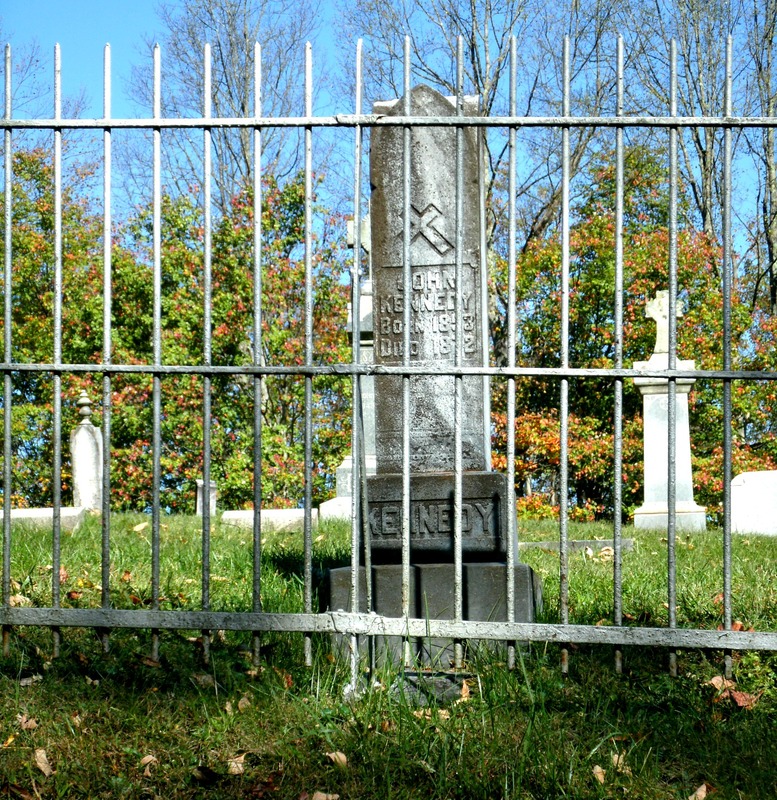 The stone is so close to the fence that an adult can not pass between it and the fence. On the ground in front of the headstone is his foot stone with just the J.K. marking. This is a strange placement for a foot stone during Victorian times, it would have been places several feet below the head of the dead. 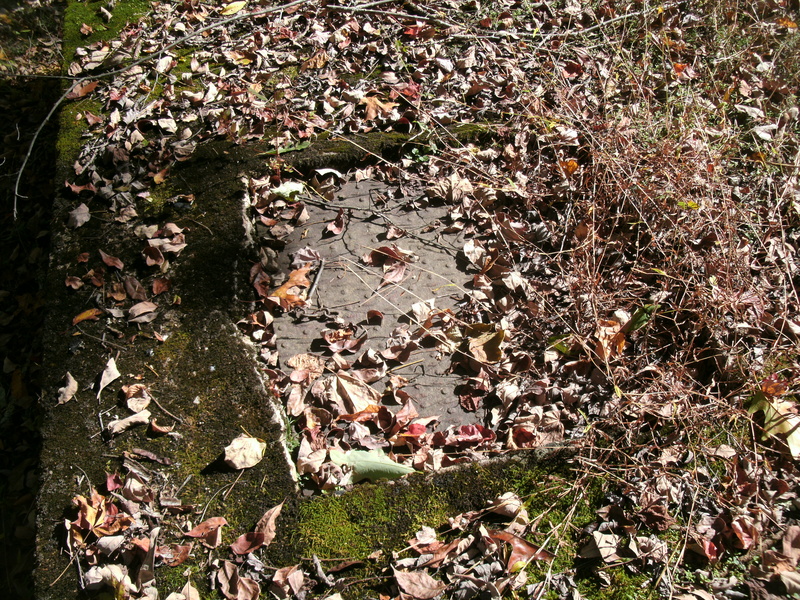 It is this grave that started the stories of the haunting at the Church. 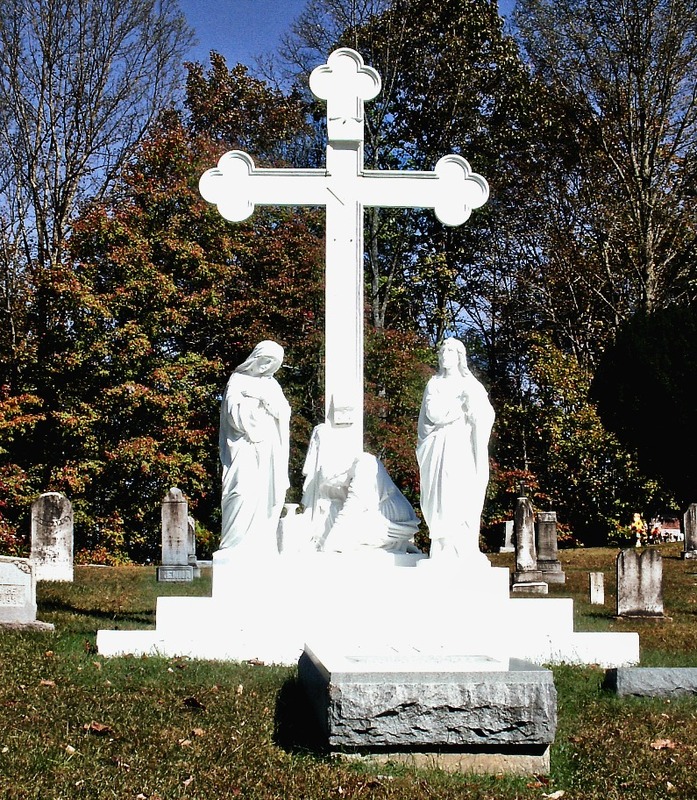 As was the custom of the 1800’s Catholic Church, any person who committed a mortal sin was unable to have a Funeral Mass or burial in the church cemetery. 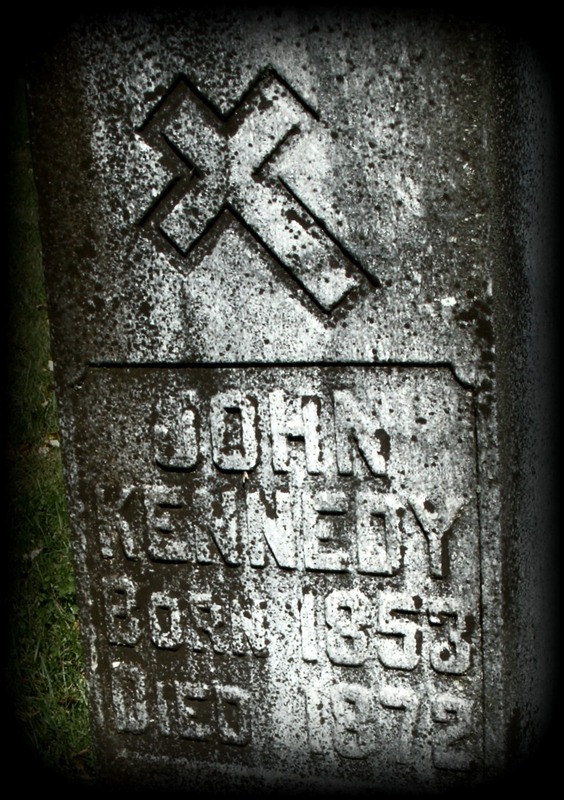 John Kennedy committed suicide at the young age of 19 making it impossible for his remains to stay in St Bernard’s cemetery. Johns other family members are buried in the cemetery and were people of wealth and power making it possible for John to have the large marker with in the fence of St Bernard’s but not his body. The remains are in the small bank along the road outside the fence. Leaving John to forever struggling with the fact that his bones are outside the sacred ground of the church and without the holy blessing of the priest. Some say that John roams the road and parking lot. That he is always looking for a way back into the good graces of the church and family. First hand sightings have said that the front and back gates of the church will open and close on their own even though both gates into the property have latches. That a black shadow figure moves around the parking area and up and down the road to the church. That at certain times of the year that the church windows glow at night as if by candle light. As if some one is trying to look out of the church into the cemetery. It is also possible that the strange happenings at (inside and out) the church could be caused by the ongoing conflict between the longtime resident Father Thomas Quirk and the young man John Kennedy. Father Quirk passed in 1937 after serving his parish for over 39 nine years passing at the age of 92. His resting place in the cemetery has a large white sculpture of Calvary with a monolithic gray granite stone slab where his remains rest only feet from the stone marker for John Kennedy. 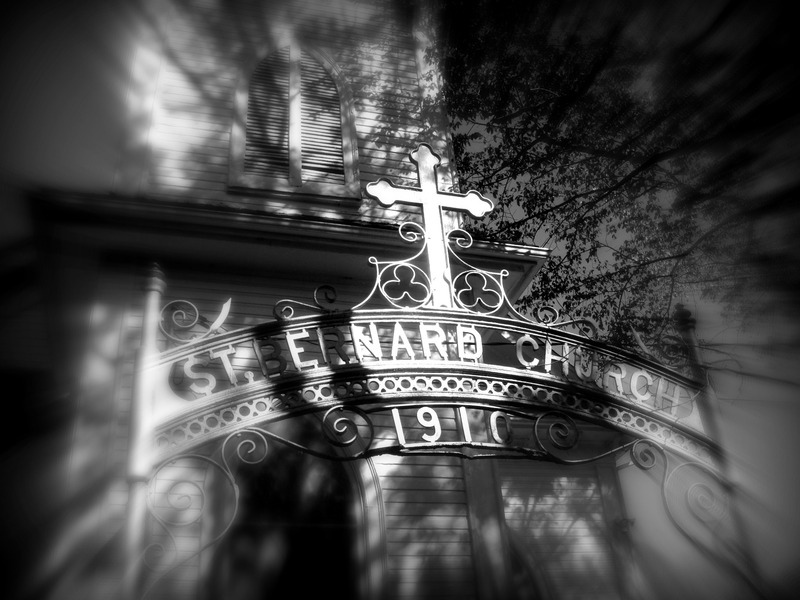 1937, St. Bernard’s Catholic Church. Locals believe that Monsignor Quirk is the spirit still protecting the church and its Revival Gothic interior. The Monsignor’s ghost will not allow anyone who enters the church to remove anything that belongs to his church. The story goes that nothing from hymnals to bibles can be removed from the church by anyone who is not approved by the watchful ghost. Many stories state that if a person attempts to remove the altar bible from the church the book gains weight as the uninvited guest progresses down the isle of the church. Finally the book becomes to heavy to carry and drops to the floor where it is impossible to moved.In the last few years the care takers of the church have also added the watchful eyes of security cameras to prevent unwanted intruders from entering the church. The Church is officially closed now days, no services are regularly held, but the church remains part of Catholic life in Lewis County. Some summers the church is open when they choose to have home-coming events and weddings at the remote location. I did not need to see the inside of the church this day. All I needed was to see the headstone of John Kennedy and say a little prayer for him. I hope that his eternal struggle is over and that one day he would find some kind of peace in the cemetery way up at Loveberry Ridge. 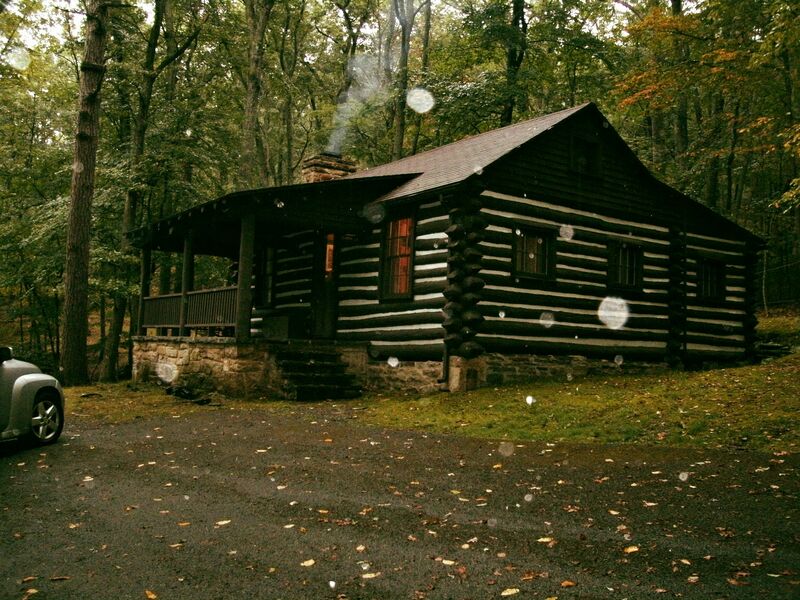 Cabin at lost River State Park in the rain. 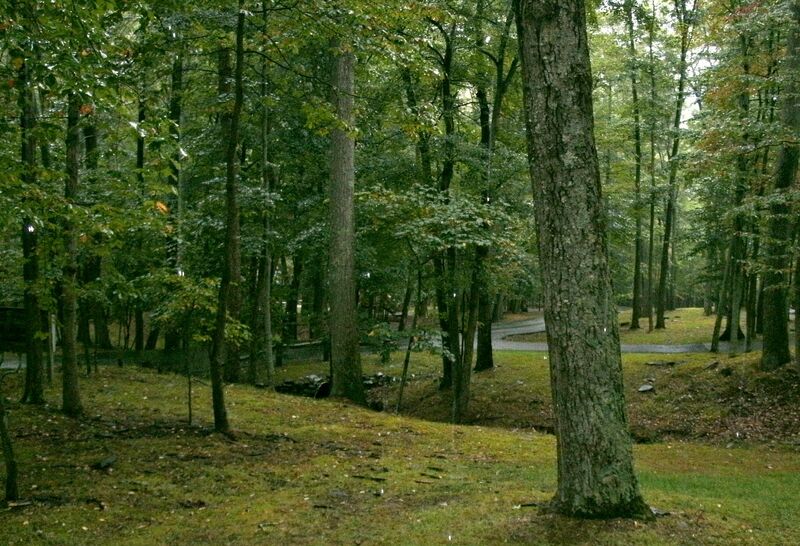 Lost River State Park was once a land grant estate starting with several owners from England including Lord Thomas Fairfax slowly changing hands over the years to the Revolutionary war hero General Henry ( Light Horse Harry) Lee. Henry received the Granted property for superior service in 1796 and the family soon built on the land. First was a cabin that they used as a summer retreat from the hot,humid summers of their Virginia home. Henry had 7 children one of the youngest was Robert E Lee the famous Civil War General. Over the years Henry and his boys continued to build in the shallow valley, he build a resort hotel and had visitors come from D.C and Maryland to bathe in the sulfur spring water that pours from a historic spring, relaxing in Victorian style. The resort caught fire and burnt to the ground in 1923 and after years of financial trouble for the family the property sold to West Virginia in 1933. In 1934 the park was open and ready for visitors. 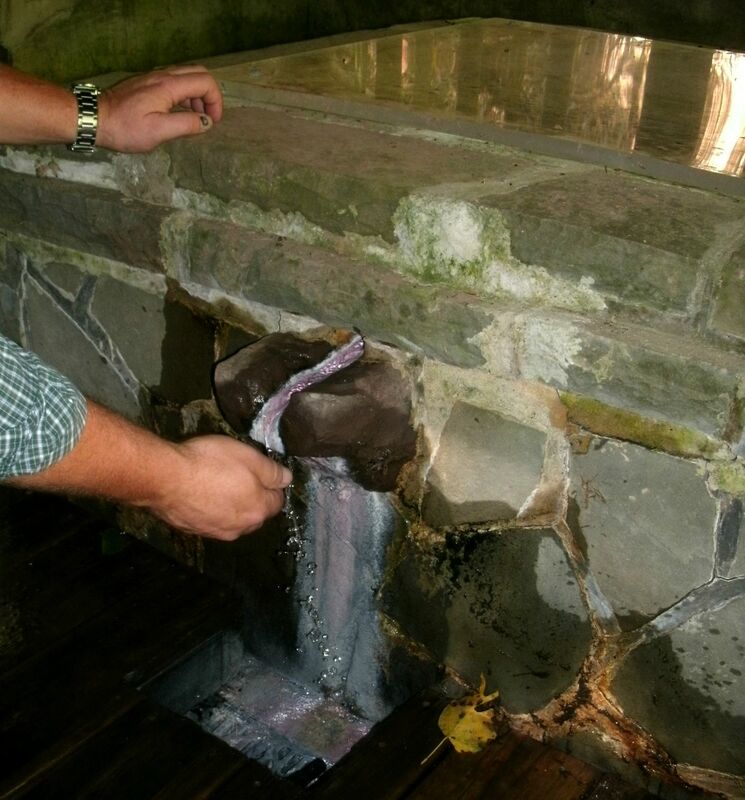 Only the cabin and sulfur spring remain on the property and are open to the public. The cabin is a two-story frame and hewn log house with a large stone fireplace and large porch with 4 rooms two on the main floor and two rooms upstairs. There is no drop ceilings in the upper rooms making for a tall vaulted roof that reaches a steep peak. The stair case is in the middle of the house as a room divider with two bedrooms up stairs and living room and kitchen below. We toured the home and were able to see that the rooms in the top story of the house are white washed and the kitchen below also. This seemed rather strange to me although I did not ask right away why a cabin of this age was white washed if it had not been used for anything more than a museum for the last 70 years and a retreat before that. Most cabins would have never been treated in this way if they were not a primary residence. Then I found out the story of why the upstairs rooms and kitchen needed paint. 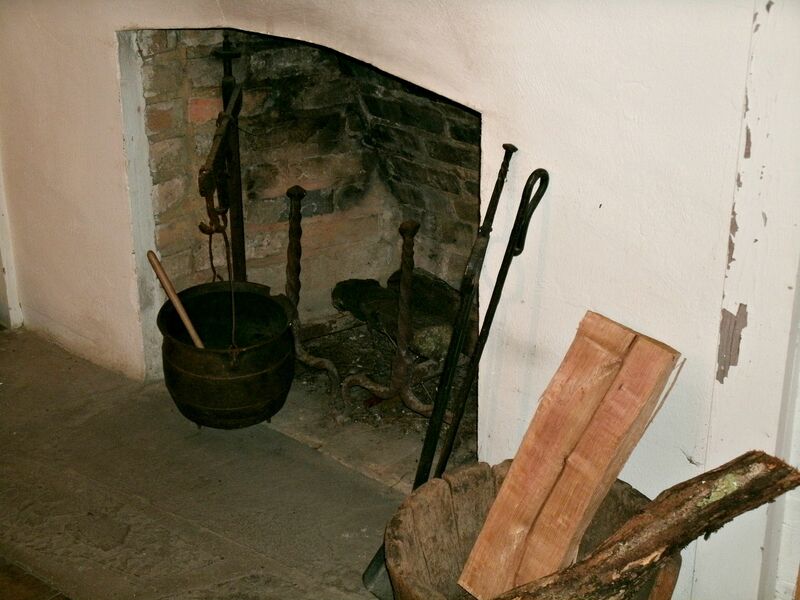 White Kitchen fireplace at the Henry ( light horse Harry) Lee cabin. 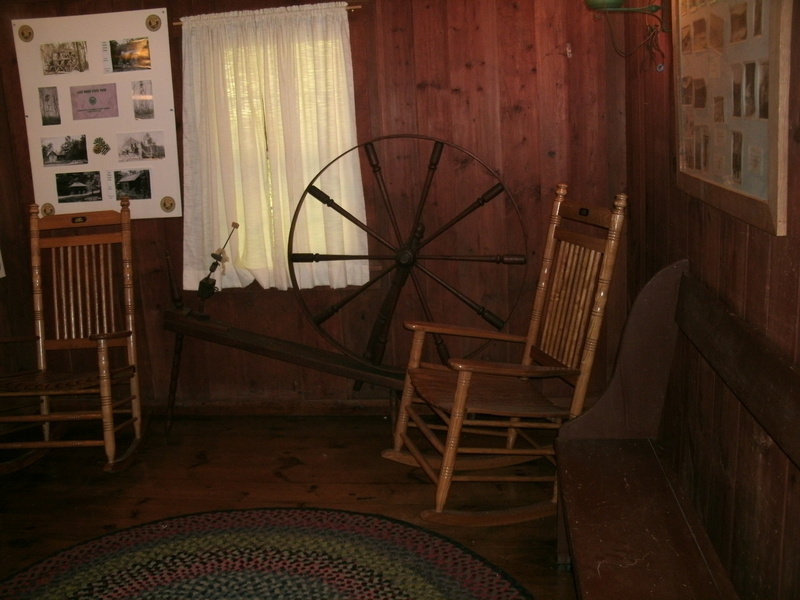 Living area of Henry Lee cabin at Lost River State Park. 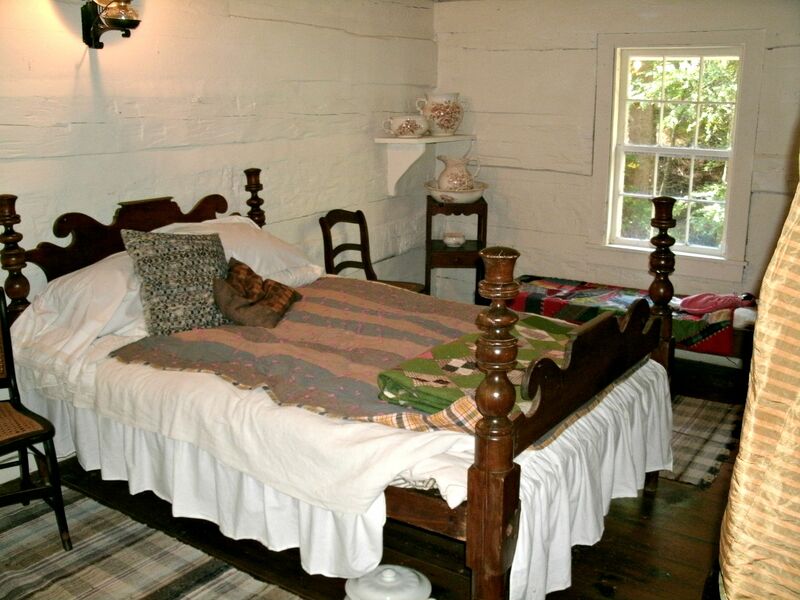 Bed Room of Henry (light horse Harry)Lee cabin at Lost River State Park. Vintage clothing hung on back wall of cabin Lost River State Park. 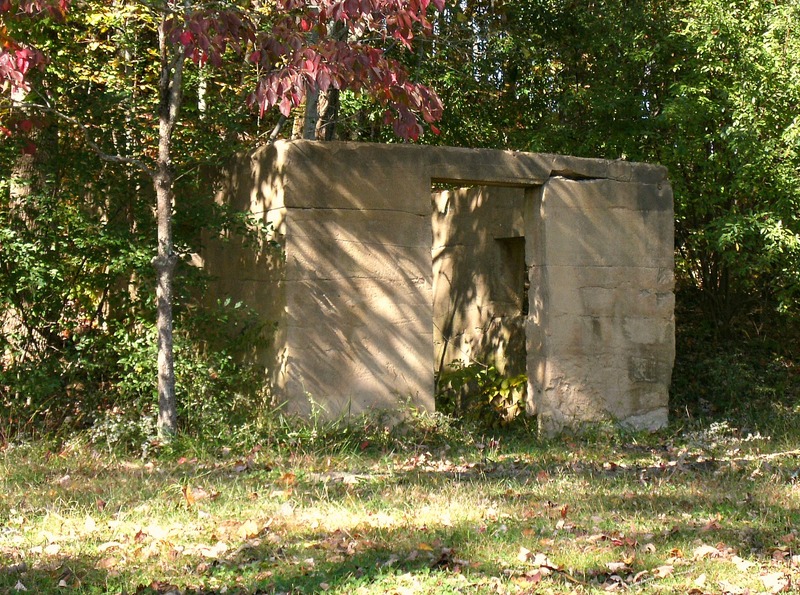 During the late 1840’s a stock trader returning from Virginia to his home in Moorefield, West Virginia came up on an ambush close to the location to the entrance of the park. 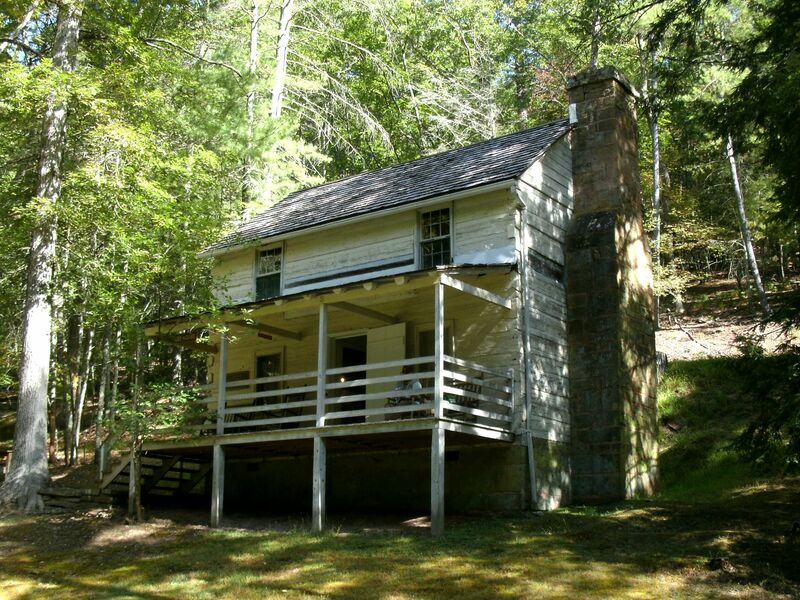 The trader Charles Sager dismounted and with in minutes the two robbers dragged him the 1/4 of a mile up the hollow between the tree covered hills, through a small creek into the yard of the Henry Lee cabin. All the while the Lee family was away in Virginia not knowing a thing about what was happening. 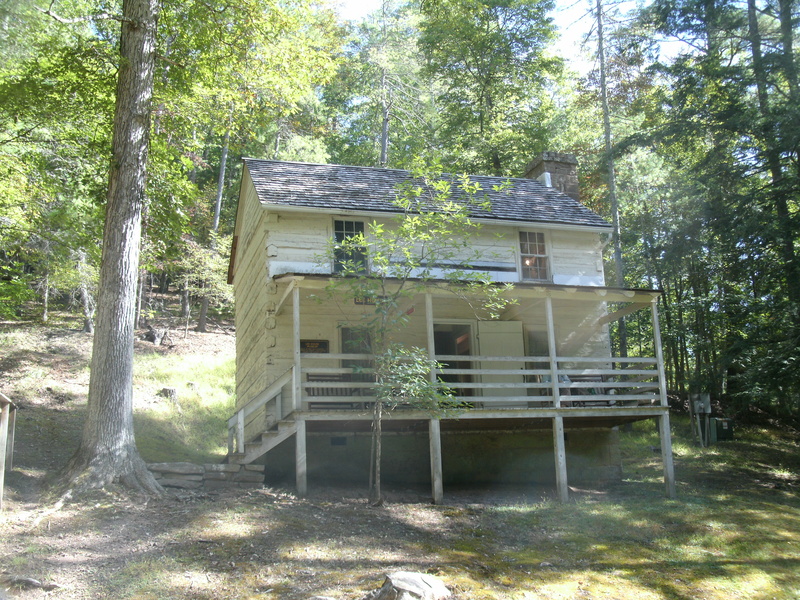 The struggle continued up the steps of the porch to the cabin door… To not attract attention Charles’s robbers pushed him into the cabin that they had already broken into. Then wrestling for his life, Charles climbed up the steep stairs where he was found with no money from the sale of his live stock in Virginia. Being stabbed not once but several times Charles was left to die in a upper bedroom. His remains were found later resting in a huge pool of blood. 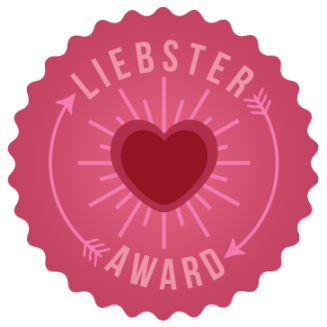 The blood smeared down one wall and pooled on to the floor where it flowed down the baseboard into the ceiling of the first floor and dripped and pooled again staining the floors of both rooms. The stains from the murder were never removed. That even with scrubbing the blood stains remained and the family could not return to the cabin in such a state. So the walls were white washed and rugs made to hide the stains and allow the family to continue to use the cabin. Henry ( light Horse Harry) Lee cabin Lost River State Park… untouched photo of house with transparent blob in right hand corner of photo. The next photo I took from the very same location does not show the blob and the rest of the photos are fine. I am not sure what to think. I have had other photos with orbs and rain drops but this is the first that I have ever taken one that just does not make seem like it is the light source. It is interesting to think that this cabin and park have such a long rich history… From Lords, to war heroes, to murder and destructive fires and even healing water spring. 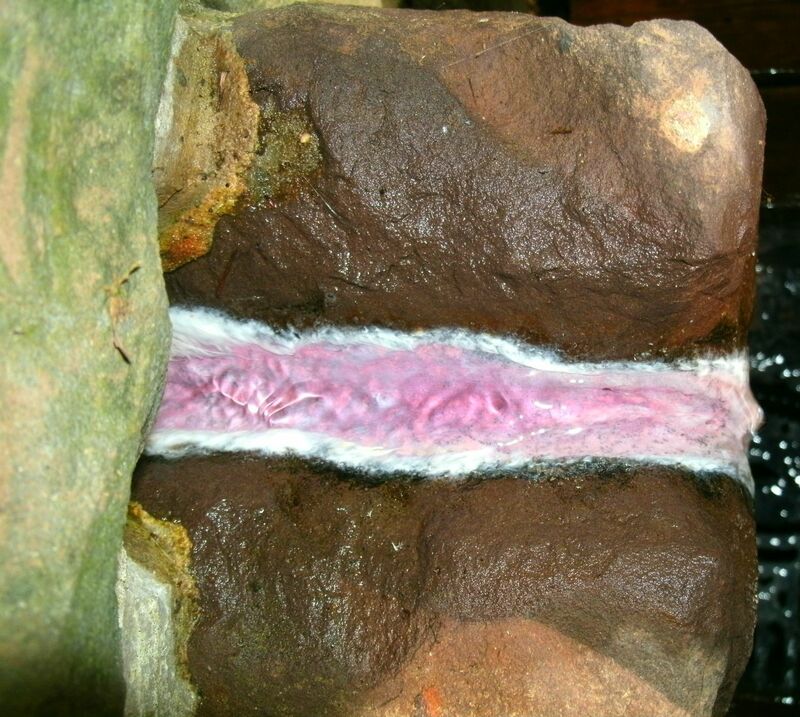 Above view of sulfur water at Lee Sulfur Spring, Lost River State Park, Mathias, WV. On our walk back through the cabins yard I stopped to take more photos and Tom found what he thought was horse shoe tracks at the foot bridge. That same bridge that poor old Charles Sager had been dragged across when he was murdered. My mind sparked at the hoof prints in the mud. Those are the same marks that would have been here 200 years ago when two unknown mounted men attacked and drug Charles through the meadows and gaps behind the Hotel. Where they dismounted at the bridge, pushed and shoved Charles Sager across the wooden bridge and across the yard in front of the spring where the Lee’s house sat. The scuffle that took place outside had to have been the reason that if you believe in ghosts that my camera picked up the smoky images floating in front of the house. It was the last place the Mr Sager saw before his murder and maybe it is the remnant of his ghost. 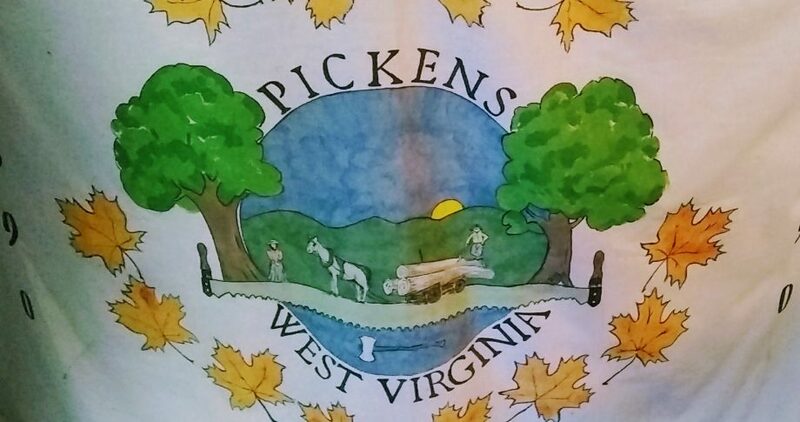 Who will forever remain part of the Lost River State Park, WV. I love ghost stories and will be sharing more over the next month or two as I get time. Happy early Halloween from Mountain Mama!